What's the best thing since sliced bread. Instagram silly! I'm well and truly hooked. 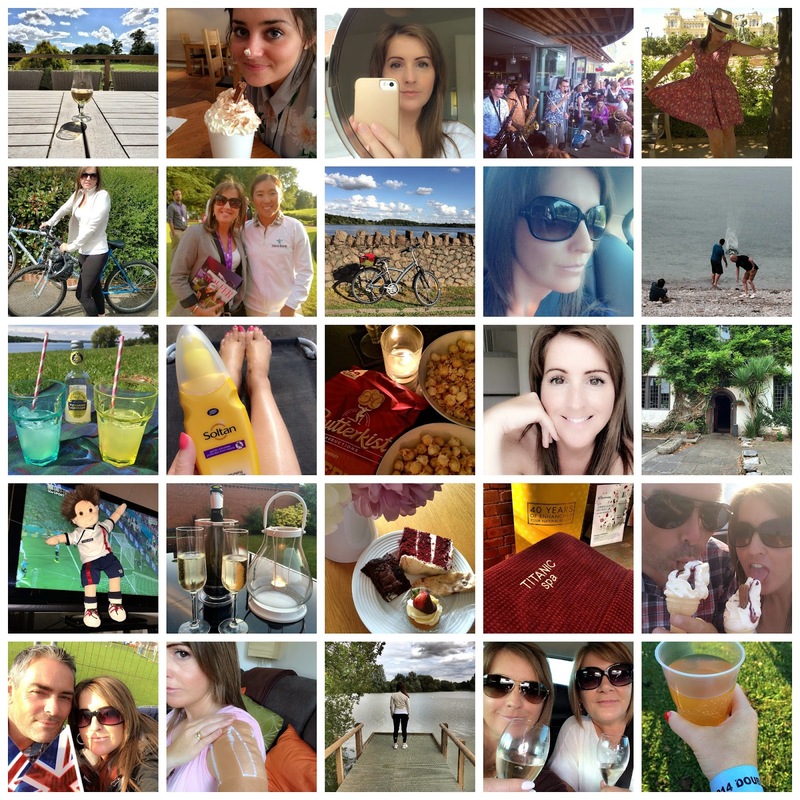 If you're 'into' it too, and even if you're not (but you should be) then you can take a peek below at a few snaps I've gathered together from Instagram to show you just a snippet of what I got up to this summer. I was backing up my photos from my phone the other night and didn't realise how many photos I'd taken this summer! I selected photos starting from around June time but in actual fact there are a photos of me in the garden sunbathing, indulging in an ice lolly, in MAY!!!! Let's have more of that next year please. But really, it's a great social media tool. I follow some downright lovely people and love to connect with them in an instant through their camera lens, and have a good old nose into their lives. If you're not following me on Instagram yet, and they'd better be good excuses, you know what to do. Click here and I'll be your new friend cos it's great to have friends all over the world. Do you love Instagram too? Are you hooked? I'd love to hear from fellow Instagrammers wherever you are. I adore Instagram as well. It's so great to be able to look back at all your favorite moments in life and see other people's too! Yes I love Instagram and your photo's are fab! A year on, I'm still here and why I love it so!